Brooklyn, NY – Roulette Intermedium founder and Artistic Director James S. Staley has been announced as a recipient of the American Composers Forum 2018 Champion of New Music Award. Established in 2005, the Champion of New Music Award recognizes and honors individuals and ensembles that have made a significant and sustained contribution over time to the work and livelihoods of contemporary composers. Staley’s career as a presenter and supporter of pioneering artists spans several decades. 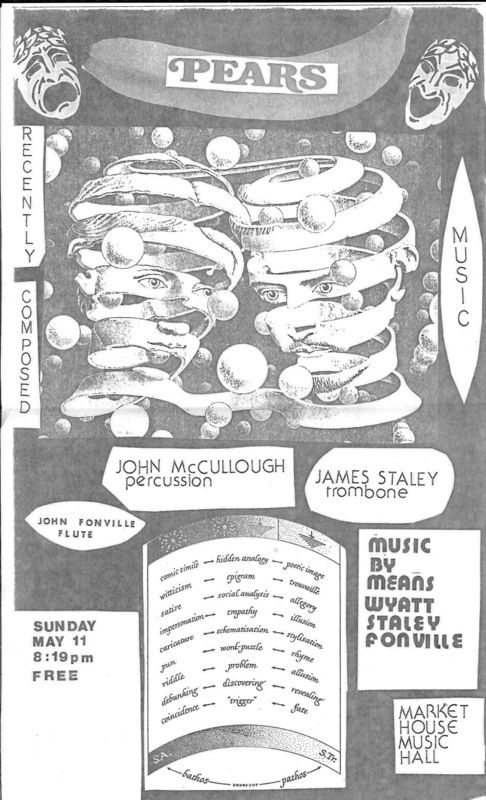 In 1978 Staley co-founded Roulette Intermedium, the now-iconic experimental performing arts venue. Roulette began as a collective of composers, musicians, and dancers doing projects in Chicago, Minneapolis, and New York City. It soon found a home in a Tribeca loft, where it operated for years and where Staley still lives, and quickly gained a reputation for presenting tomorrow’s most acclaimed avant garde artists. 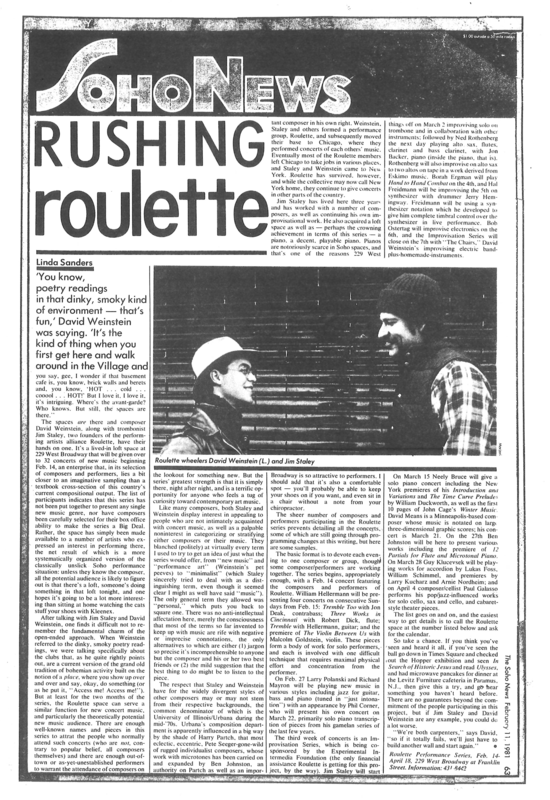 Julius Eastman, Arthur Russell, and John Zorn were among the many artists who premiered early work at Roulette in the 1980s. In 2011, Staley moved Roulette to a 400-seat state-of-the art theater in Downtown Brooklyn and expanded the concert series to include more dance and new media offerings. Roulette now presents more than 120 experimental performances each year and continues to support the work of artists, particularly composers, who boldly challenge disciplinary boundaries and create compelling art. In 2018 alone, Roulette will award $87,000 to eleven extraordinary musical artists of promise for the creation of new and adventurous work. 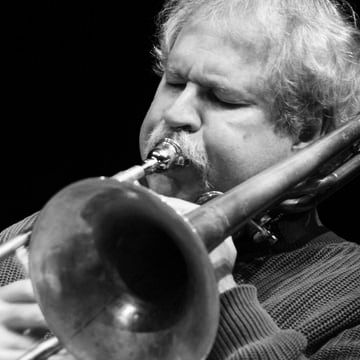 In addition to his work at Roulette, Staley is an accomplished trombonist and improvising musician. He has released numerous albums, played on many records, and is a member of the Tone Road Ramblers, a new music ensemble formed in 1981. 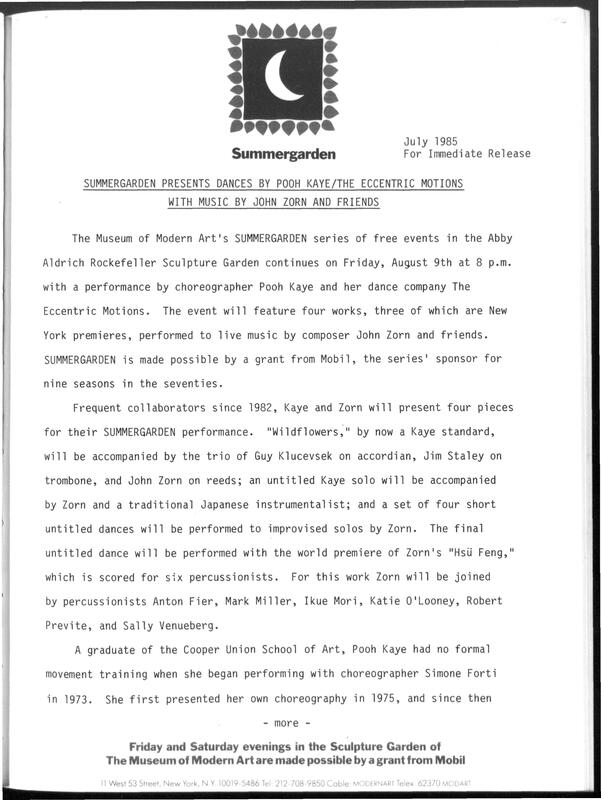 Long-time collaborators include Sam Bennett, Bill Frisell, Fred Frith, Shelley Hirsch, Wayne Horvitz, Ikue Mori, Zeena Parkins, Elliott Sharp, Davey Williams, John Zorn and choreographers Pooh Kaye, Debra Loewen, and Sally Silvers. The American Composers Forum will present Staley with the Champion of New Music Award at an event at Roulette on September 25, 2018. His fellow 2018 awardees are pianist, writer, and producer Sarah Cahill and flutist, composer, and educator Nicole Mitchell. 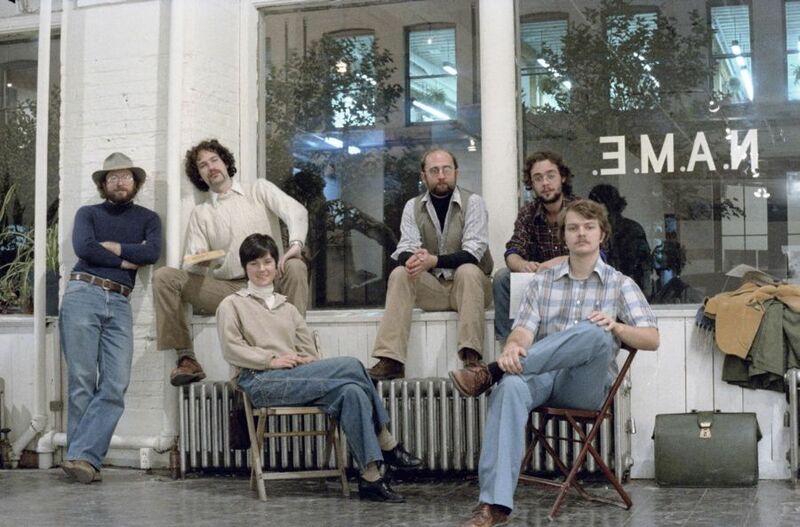 Left to Right: David Means, Jim Staley, Barb Malone, John Fonville, David Weinstein, Dan Senn. Photograph by Denise Senn. April 16, 1988 at Roulette’s original Tribeca loft. 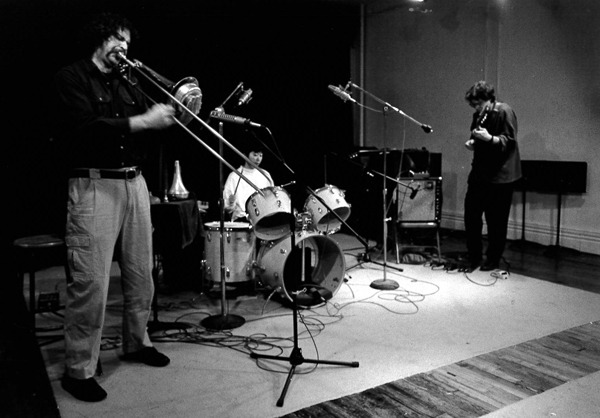 “The Exoskeletal Shadow of Laminated Desire” performed on Saturday, April 21, 1990 at the original TriBeCa loft by a trio of Jim Staley, trombone / didjeridu; Sally Silvers, dance; and John Zorn, reeds. Excerpts from The Stephanie and Irving Stone Festival of Improvisors recorded at Roulette on November 8, 9, 10, 1985.